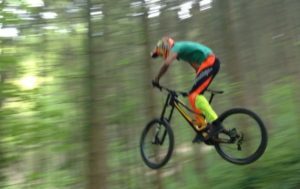 Looking to ‘fly’ over the jumps and ‘float off’ the drops on the Mountain Bike Trails across the UK? Firecrest MTB’s Mountain Bike Jumps and Drops Course covers all the essentials that will have you hitting Jumps and Drop Off’s with confidence, speed and flow and an adrenalin rush. 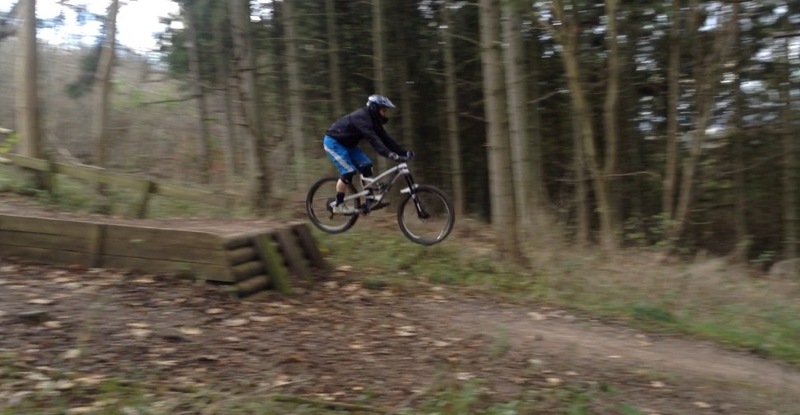 Firecrest Mountain Biking has been training with riders to improve their Jumps and Drops for over 17 years. Our Instructors have a wealth of experience when it comes to working with riders improve their Confidence when both wheels are off the ground. Firecrest MTB’s proven approach works with you to build your Confidence and Understanding leading to big improvements in your Jumps and Drops Technique. 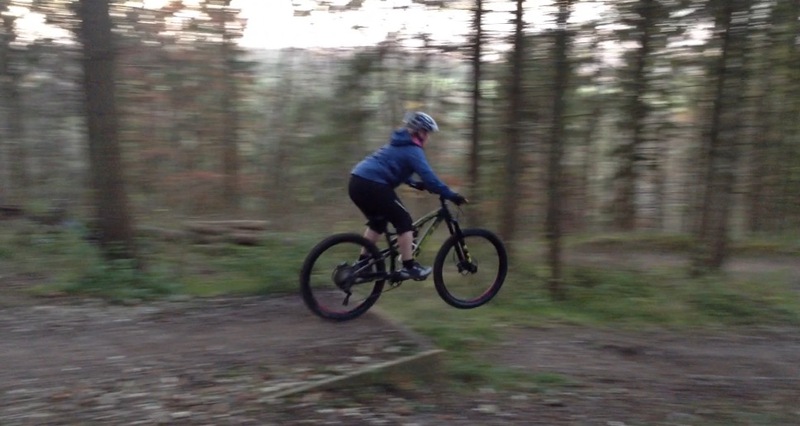 With it’s choice of Trail Features Aston Hill offers the perfect progression for Firecrest Mountain Biking’s Jumps and Drop Skills Course with a range of Small, Medium and Large Jumps and Drops to work with enabling you to progress your skills at a pace to suit. If you find yourself ‘freezing’ at the thought of your wheels leaving the ground or hauling on the brakes as you approach a Jump or Drop this is the perfect Course for you. We’ve worked with thousands of riders giving them all an insight into their ‘Skills Set’ and the Techniques that underpin the techniques required when riding over Jumps and Drops. ‘The System’ that underpins Firecrest’s Mountain Bike Skills Instruction and Coaching looks at all the elements from Mountain Bike Set Up through to the Psychology behind what’s holding you back unblocking the Mental aspects of your riding and giving you the Confidence to leave the ground and get some air when you need it most. Your course will be tailored to meet your individual needs from ‘novice’ to ‘experienced’ riders looking to perfect their technique, find more speed and a bigger adrenalin rush. Firecrest Mountain Biking use the latest technology to give you the ultimate insight into your riding. Using the I-Pad App, Coach’s Eye, enabling us to show you exactly what’s happening and where you can make the improvements to fine tune your ‘Skill Set’ to hone your Jump and Drop Technique. Making the right tyres choice and running the correct tyre pressure. Getting your suspension set up for you and why tuning your suspension to the trail will enable you to ride Jumps and Drop Off’s with more confidence. Optimising brake lever set up to improve the way you ride and develop confidence on your bike. The importance of how your Body Position, Footwork, Looking and Speed Control effect how you ride the trail. The composition of the trail and the importance of why the Entry, Section and Exit and how trails are linked and layered are so important. The importance of Energy Management (Pumping) by introducing you to how you can make the bike work with you and gain free energy and speed from the trail. The importance of ‘performance cues’ and how to ensure they don’t effect how you ride. An introduction to the psychology of mountain biking. Including the importance of focusing on the right things at the right time and taking control of your mental game. Add additional Participants for £10.00 per person, per hour for up to 4 Participants. Hi Really interested in coming on the jump sundrops course – where are you based?